Operation I.V. successfully transitions and reintegrates Iraq and Afghanistan Combat Veterans struggling with Post Traumatic Stress Disorder (PTSD) and Traumatic Brain Injuries (TBI) back into mainstream society after completion of a comprehensive medical, psychosocial, and job-training program and job search or business mentoring program. 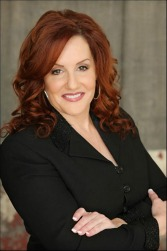 Ms. Abrams is an accomplished entrepreneur with a Juris Doctor from The Southern California Institute of Law. She has an extensive background in business startups and general Business Management, along with extensive experience in sales and marketing. She is most well known for her Strategic Planning abilities and her tenacity. Mr. Rogers is currently a senior electrical systems engineer at Stellar Solutions, Inc. He has extensive experience in all aspects of space instrument development from concept through satellite end of life. Mr. Roger’s background combines strong hands-on technical expertise with experience in program management. Financial Planning and successful investing is another area of Mr. Rogers expertise and he lends his expertise to Operation:I.V. Ms. Wall has over 25 years experience as a Psychiatric Nurse for the VA. She has hands on experience with PTSD Veterans and knows first hand the successes of a wide variety of PTSD treatments. As a Gulf War Veteran herself, she brings a breadth of personal experience that is invaluable to Operation:I.V. 's vision and goals.